A couple of weeks ago, I received a letter from Chase informing me of an annual fee increase on my Chase Sapphire Preferred. This is one of my favorite credit cards, and its ability to transfer points into numerous airline and hotel programs, makes it one of the heavy contenders out there. Ultimate Rewards points are one of the best points currencies out there, and I would hate to lose them. Furthermore, I have plans for future travels to Asia, and Europe using these points. They basically told me if I did NOT agree to the increase, then I would have to close out my card. I wouldn’t forfeit the points because I also have the Chase Freedom card, which is also an Ultimate Rewards account, but there is no ability to transfer into airlines. Its mainly cash back. I decided to write them a snail mail letter asking them for compensation, and they have replied. I was hoping for something a little more than $60, which is really 6000 points, but I guess at this point, its better than nothing, and will offset the cost for the next 6 years, if you think about it. I was paying $85 rather than $95. This also is a lesson in that if you are not happy with the service, say something. Otherwise, you have no reason to complain. I love surPRIZES of all kinds…especially ones that come in the mail. You never know what you are going to get (insert Tom Hanks image here in your head) and hope that it’s something really cool. However, yesterday I got a surprise from Chase which I didn’t really like. It was a notice of an annual fee increase on one of my favorite cards – the Chase Sapphire Preferred VISA card. I have had this card for sometime, and enjoy the many benefits, which include 2x on dining purchases, 2x on travel purchases, which include rental cars, hotels, and airfare. Just with the dining perks alone, I rack up tons of points because those morning lattes & raspberry scones can add up. Rejecting this change: you the right to reject the change in the Revised Terms table. You want to reject it, you must contact us by 08/20/17. If you reject this change, we will close your account and you will not be able to use it for new transactions. For this loyalty, I am not compensated for the upcoming increase. They are not offering any other alternatives, other than to close the account, if I am not in agreement with the new fee. This in my opinion is just bad customer service, from a customers point of view. If you get a bad meal at a restaurant, rest assured your bill will decrease, or that chocolate molten lava cake will be given to you at the end, for compensation. Chase isn’t doing anything, according to this letter, for those who signed up early for this card. An additional $10 is not going to bring the house down, but money is money. It’s also fair to note I actually had decided to cancel this card after two years, but the Chase rep on the phone raved about how I was special and only paying $85 rather than $95, which made my mind to keep the card ever since. In all fairness, they should compensate folks who are on the old annual feel structure with additional Ultimate Reward points for the increase. I have not reached out to them, yet, but will do so in the coming days and see what they propose to do on compensation, if any. I will update this post with my results. Anyone else get this letter, or similar? I’d love to hear what strategy you took on it. Two Credit Card Offers You Shouldn’t Ignore + Giveaway! Last year was an amazing year for credit cards and so far, 2017 is starting out with a punch. Currently, there are two offers I would not ignore if you are looking to pick up a new credit card – or two. The Chase United MileagePlus Explorer card is currently offering 50,000 miles, and is available to everyone. After meeting the $3,000 spend, you get 50,000 miles which is enough for 2 round trip coach saver award tickets in the U.S. or Canada. They can be redeemed for first class travel in the U.S. or Canada. United has a handy chart here, to see what’s possible with your miles. Check it out. The second card I wouldn’t ignore is the Citibank AAdvantage Mastercard, which also nets you 50,000 miles, to use on American Airlines, or its partners. Although American Airlines recently devalued its miles, I still think you can get some pretty good deals to Europe and even South America, on partners such as Air Berlin, and LAN. They are also great to use with British Airways on short haul flights, or intra-Europe. 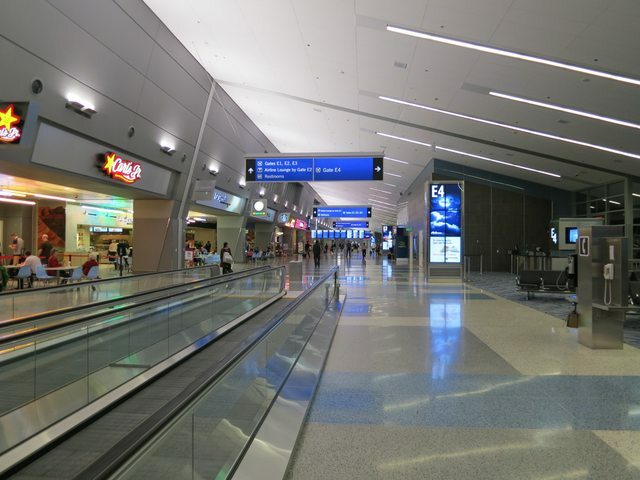 With stellar service on both carriers, you will have no problem traveling smoothly. The other aspect of this offer, is Citibank cards are relatively easy to get, and you can receive the bonus more than once, so racking up tons of AAdvantage miles will be no problem. Both cards come with a ton of perks, such as free baggage allowance, anniversary miles, priority boarding, and no annual fee the first year. Both offers wont last, and I suspect will go away soon, so I would get them now. Of course, keep in mind with Chase, the infamous 5/24 rule applies, which means if you have applied for more than 5 credit cards, from any bank, within the past 24 months, the likelihood of approval is zero. If you haven’t, then you’ll be lucky enough to score this card. Just make sure you have a travel goal in mind, so you can use these miles, or you can just bank them for future travels on United and its partners. I actually applied for both of these cards last year, and was approved. The Chase United MileagePlus card came with two United Club passes, which I won’t be using this year, so I’d like to give you a chance to take ’em off my hands! Please comment on how best you would use these miles, and I’ll pick someone randomly. I’ll announce a winner at the end of the week. The Hogan A319 model is not included, in case you were wondering. Happy Travels! 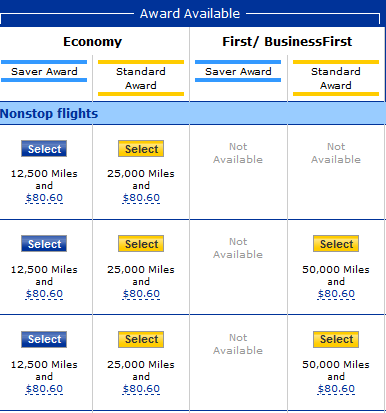 Chase 50,000 United Miles Offer is Back!! ACT QUICK! Looks like Chase has made public the link for getting 50,000 Mileage PLUS miles after meeting a minimum spend. The usual offer is usually 30,000 miles, but with this offer, it is increased to 50,000. Furthermore, the annual fee is waived for one year, and you get the usual benefits with the card. I recommend you get this because it wont last long. If you had this card before, you could probably get the miles again, if it has been some time since you last applied. I have received the bonus miles twice already, but the last time I applied was over 2 years ago for the Chase United Mileage PLUS card. Chase is running a contest right now, where they will basically pay for a charge that you made to one of their credit cards or debit cards. There is no fee to enter this contest, and it’s pretty straight forward – make a purchase, as you would normally do, and if you are lucky, they will pay the tab! The Holidays are coming up, and I know a lot of you will be flashing the plastic, so you might as well sign up for this perk, if you are going to be using a Chase card, and see if you win! Who knows, you may get lucky. Now in order for you to do this, you MUST walk into a Chase branch, and have them enroll your card(s). There is no online registration. If you live in Portland, this is easy as walking into most Fred Meyer stores when you do your groceries, as they have Chase branches inside, which are open till 7pm. This promo expires Dec 31st, so take advantage. Good Luck! 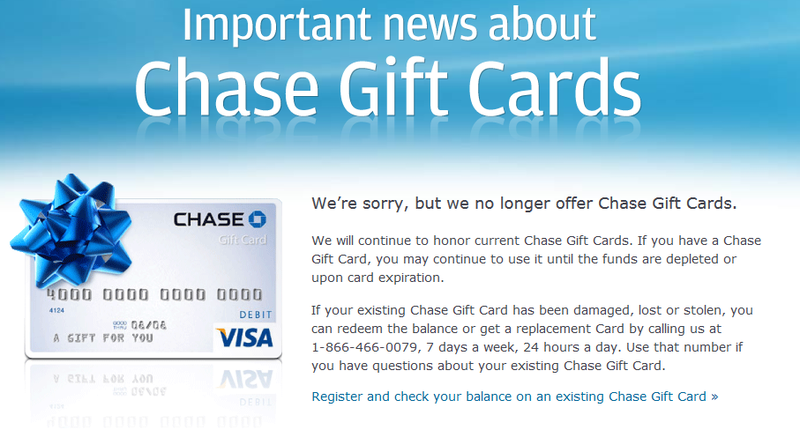 Looks like the party is over with the Chase Gift Cards. They stopped selling them online, and you can’t order them anymore. These were a great way to put spend on Chase gift cards, and you could use them with Bluebird. We had been warned they were going to go away, but the cutoff date was rumored to be September 22nd. 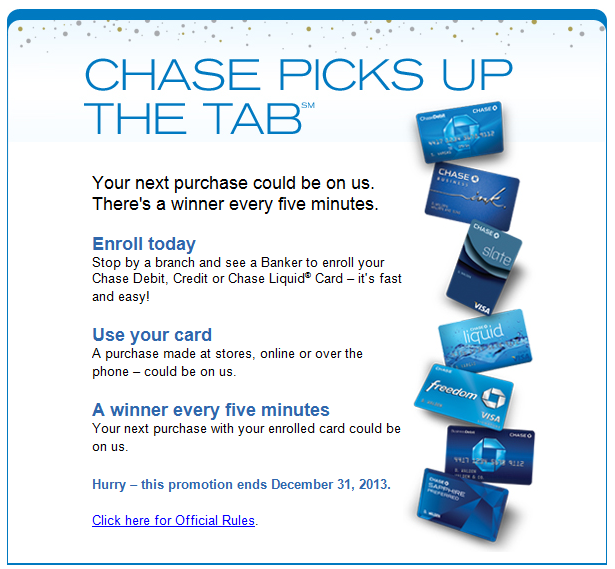 Looks like someone over at Chase got trigger happy, and wanted to start their weekend a bit early. Can’t blame them…..these are the last weeks of summer. But don’t worry. There will more opportunities. Just like when the U.S. mint coins ended, we all thought that was the end of the world, and we started writing our wills, attended churches and mosques more, and we ate more broccoli. Then all of sudden, new strands of light came from the between the cracks, and other opportunities arose. There will be more. I will write about them as I see them. Have a great weekend! Chase is currently offering fee free gift cards online, that may be used to fund Bluebird accounts, or just to be used as debit cards. These cards are great because you can assign a PIN to it, and use it like any other debit card. They can be bought in amounts ranging from $25.00 – $500 using a Chase credit card. You won’t be able to use any other VISA/MC, but a Chase credit card. You cannot use American Express cards either. However, it does post as a purchase, and you will get points or miles, depending on which Chase reward card you use. 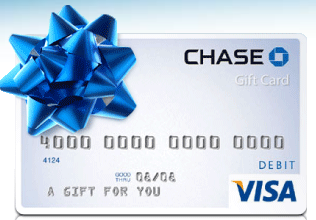 I have been using my Chase Sapphire Preferred Signature VISA card and my Chase FREEDOM Visa card. The order process is simple, and the cards take about 7 days to arrive in the mail. Activation is a breeze, as you just call the number listed on the sticker on the front of the cards, and its fully automated. During activation, you may also assign a personalized PIN to the card, so you can access it just like any other debit card. So why buy these cards? Simple. You get reward points for buying this, and you can use this to fund your Bluebird account. If you have not opened a Bluebird account, I recommend doing so, as it allows you to pay your mortgage, car payments, and any other bill that doesn’t let you use credit cards. There is no activation fees for these cards, unlike other prepaid debit cards, and these count as purchases on your bill, rather than a cash advance. Click on the image above to get yours! 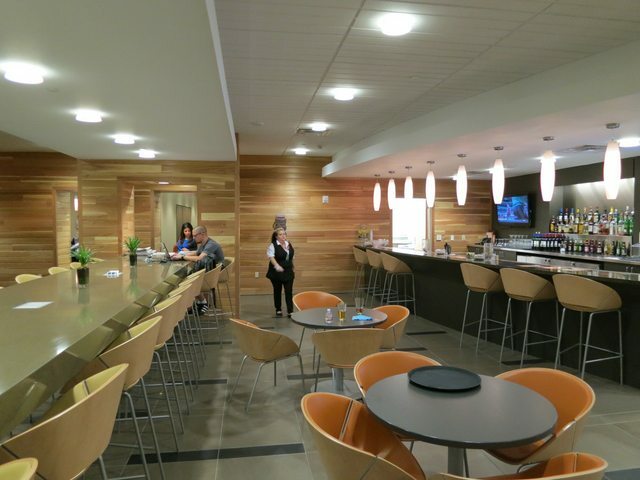 One of the many perks in having a Chase INK card, is you get free membership in the Lounge Club. Along with the membership, you get two free passes to any of the airport lounges, that the Lounge Club participates in. When you apply, you get a handy brochure that shows you which lounges you are able to get into. 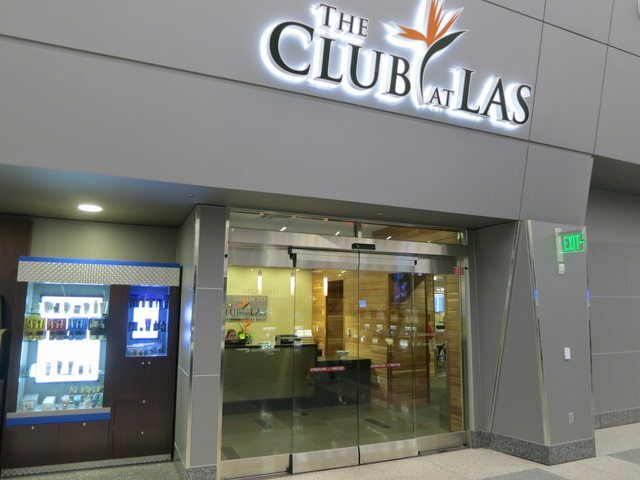 I had the privilege of going to Las Vegas this past week, and decided to stop by for a visit on my return Friday night, and check out the new Lounge Club airport lounge at the new Terminal 3. 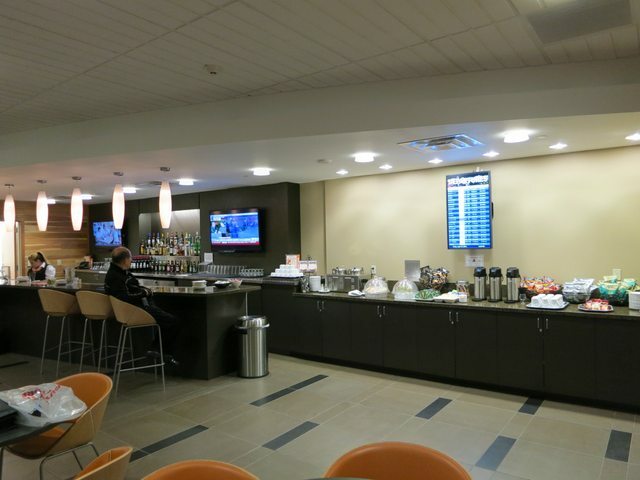 I was pretty impressed, as this was one of the few domestic lounges that felt like an international airport lounge. Although it was sort of inconveniently located across from gate E2 in terminal 3 ( a good 7 – 15 min walk from the Alaska Airline gates), it made the effort worthwhile, upon arrival. No room for attitude here, as the nice representative greeted us with a smile, and asked for our boarding passes, along with the Lounge Club card, which you get in the mail 7-10 days after applying. When we arrived shortly after 8:30PM, the lounge was packed with British Airways first/business class passengers, who were waiting to board their 9:10PM flight to LHR. Most of them were Italians, it seemed, as the room was filled with men in red tight jeans, and those new neon orange Nikes, along with beats headphones around their heads, while guzzling down Heinekins, and munchin’ on Fritos. About 8:45PM, the lounge cleared, and the only remaining folks were probably the Chase Ink card holders waiting for the AS 621, like myself. 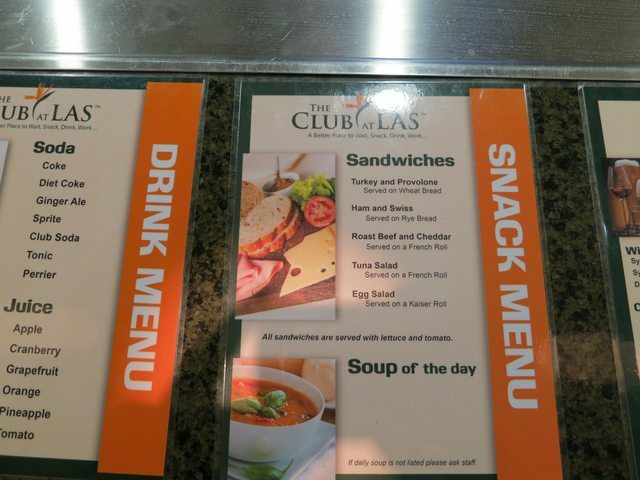 The club hosted a bar, with free booze, munchies, and sandwiches made to order. There was also two hot soups, one a meat option, and the other a vegetarians option, which I though was kind of cool (Alaska…are you reading this???). Walker shortbread cookies, Mrs Vickie’s chips, and fresh fruit also were presented on the counter, all neatly arranged for your viewing and eating pleasure. It was nice to see a lounge so well stocked, even at this hour of the night. United, Alaska, Delta, don’t even do that. Heck, even the SQ lounge at SFO wasn’t this nice! 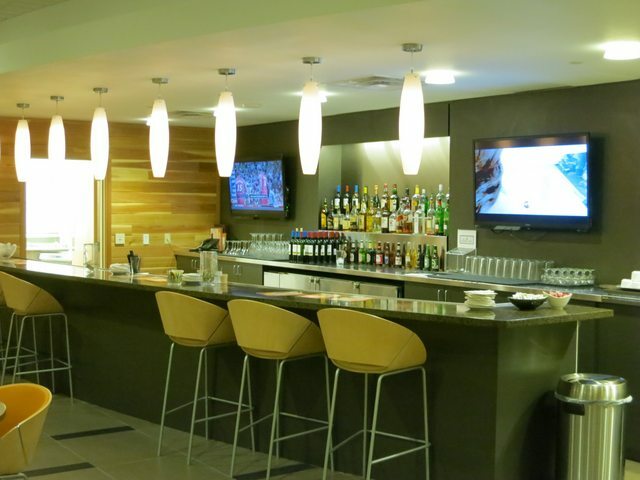 Along with the culinary amenities, there was a business area with desktop machines for internet access, a printers and fax machine, and of course, free wireless internet, for checking The Value Traveler. 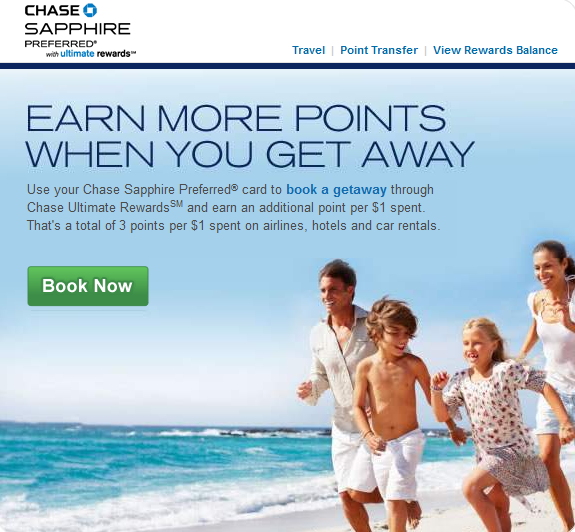 Received an email from Chase Ultimate Rewards offering to give 3 points per dollar spent on booking travel. I believe you need to have one of the Chase cards that offer redemption into the Ultimate Rewards program, but if if you do have one, this is a great deal for booking travel that would book anyways, if you are going somewhere. After you log in to your Ultimate Rewards account, you can search for flights, hotels, rental cars, or vacation packages. So when searching for flights, let’s use Portland to L.A. You will get your results and note it is almost the same amount as if you were to go through the airlines websites. I am looking at the United flight and its listing it at $317.80. If you were to book that non-stop flight, you will get $317.80 x 3 = 953 points!!! Also, if you are transferring your Ultimate Reward points into United’s Mileage PLUS program, you would be essentially getting 953 miles + 1600 miles (miles flown to L.A.), for a total of 2,553 miles! Some of you are probably saying, that’s not a lot of points. In reality it is, considering you would only get 1,600 miles if you would’ve just booked the ticket on another credit card, other than a Chase Ultimate Rewards card. The only other card that will give you those bonus miles is the United Mileage PLUS Visa card itself. Of course, you don’t have to throw your bonus points into Mileage PLUS. You can use your points for other redemptions, such as gift cards, hotel stays, and other stuff. Check out ultimaterewards.chase.com for more details on that. The bonus categories activation for the Chase FREEDOM card is now live. Looks like if you spend at Lowe’s, restaurants, and movie theaters, you will get 5% cash back on your purchases. There is a $1,500 limit though. I personally have never met that threshold, but not to say there are people who won’t. If you have a home project you are working on, now is the time to make those purchases for materials and get cash back. You earn 1% on all other purchases with this card anyways. The last bonus category I thought was nice, as you earned 5% on gas, drugstore purchases, and Starbucks®. If you do not have this card, you should add it to your portfolio of cards because the current sign up bonus is 10,000 Ultimate Rewards® points, which is $100 cash back, or 10,000 miles, if you throw it into your United Mileage PLUS, British Airways AVIOS, Southwest Airline Rapid Rewrds, or Korean Air SKYPASS account. The card has NO ANNUAL fee, and comes with great benefits courtesy of VISA. There is also a MasterCard verion of the card as well. A sign up link is available for you if you want in my Favorite Credit cards page.